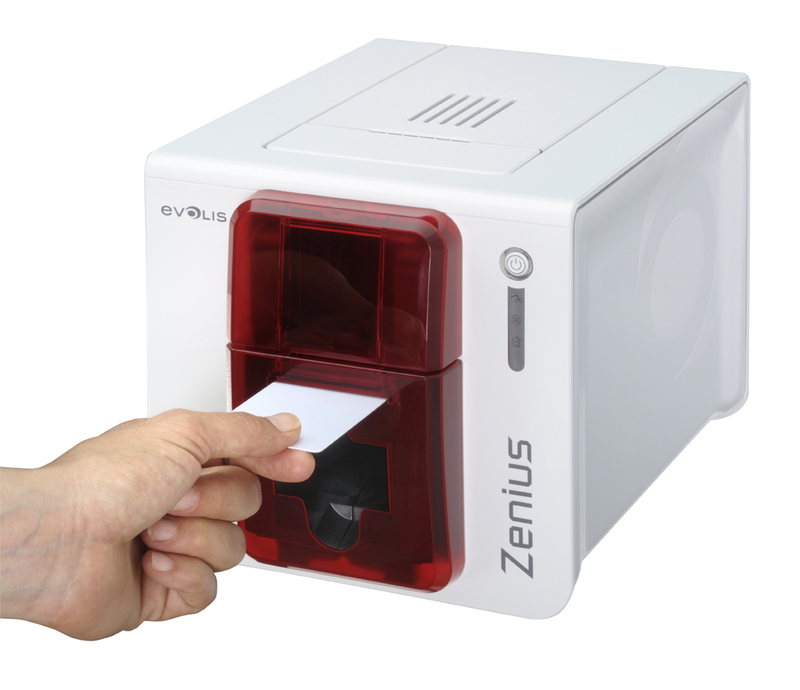 Check Status of ribbons, cards, cleaning cycles..
Easy, convenient, simplifies card printing routines. 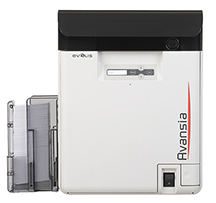 Download Evolis Zenius Product Brochure....click here. 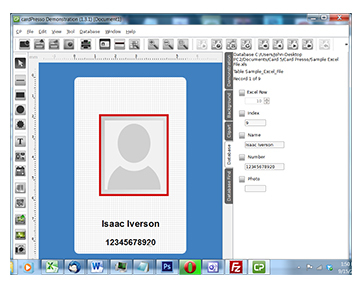 see details of CardPresso Card Design Software... "CardPresso Design Software"
Now with Excel and ODBC Connections..
Print on both sides of card with the new Dualys 3. 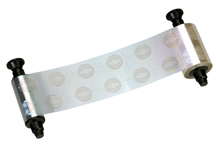 6 Panel YMCKO-K Ribbon lets you print high quality color on the front of your card and clear black text and graphics on the back �in a single operation. 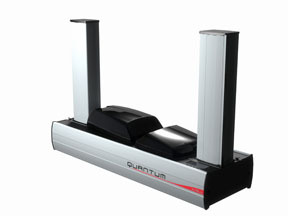 1000 card input and output. Heavy duty cycle engineering and materials. 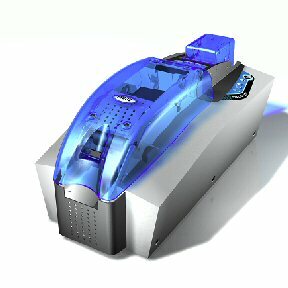 Removable 500 Card Hoppers - Swappable during production. 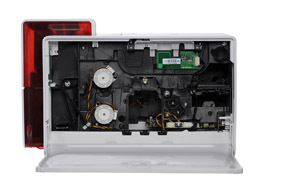 500 Card removable input and output hoppers. 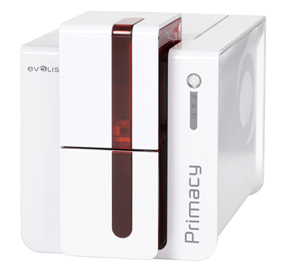 Latest birth from Evolis product range, the Tattoo Rewrite Printer is a mixture of technology and innovation. Hi-Tech Design, compactness and ease of use, the Tattoo revolutionizes the world of monochrome printing on plastic cards. 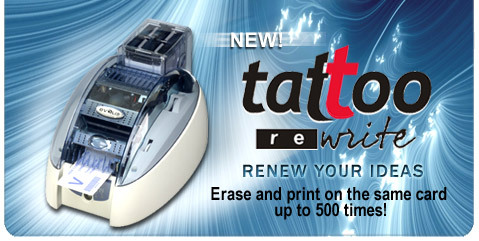 Within seconds, the Tattoo personalizes in monochrome your pre-printed or blank plastic cards. 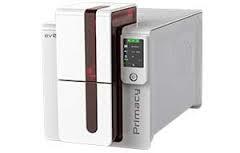 It prints your high resolution text, bar codes, graphics and logos. 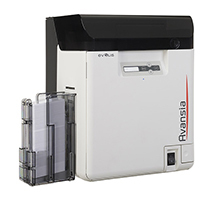 Prints ReWriteable Cards and hard paper media as well. 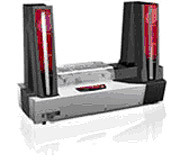 Add a level of security and long life to your cards with high quality printing and laminating. Many Advanced Security and Fraud Protection Features. Physical, Electronic and Operational safeguards and audit.